Currently most diamonds available on the open market are untraceable and of unknown origin. We are pleased to be able to offer CanadaMark Diamonds to our customers. Mined in the Canadian Tundra, they are among the most responsibly sourced diamonds available in the world. CanadaMark diamonds are sourced from two mines, Ekati and Diavik, which prioritise workers rights and the needs of the local indigenous population, involving them in every aspect of the mining process and the reporting of environmental impacts on the area. Additionally, CanadaMark diamonds are assured untreated and polished to meet specific quality standards. To our knowledge they are the only diamonds that provide a traceable origin. 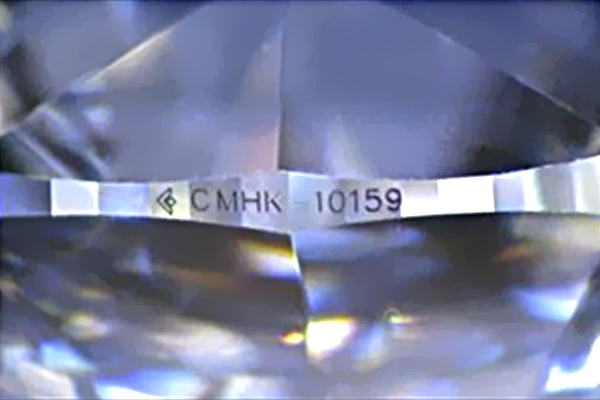 Each diamond has a certificate of authenticity and is laser engraved with the CanadaMark next to the GIA certificate number. We recommend using CanadaMark diamonds in pieces made from either Wash Gold or Fairtrade Gold to ensure a completely traceable and ethical piece of jewellery.